Residents of the greater Carmel-Mahopac area living on a half-acre of land may soon be permitted to raise chickens on their property under an amendment to the town’s code. Supervisor Kenneth Schmitt reported last week the “chicken ordina… Please login below or purchase a subscription to the Putnam County Courier to access this content. Gail and Tom Pease of Carmel walk to raise awareness. 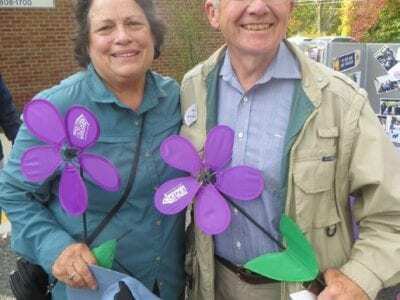 Putnam’s annual Memory Walk Sunday attracted hundreds of men, women and children who walked to raise funds for Alzheimer’s research. Over the years the walk has grown as the incidence … Please login below or purchase a subscription to the Putnam County Courier to access this content. Discussion regarding the addition of an arson dog to the Putnam Sheriff’s Department raised many questions at last Thursday’s meeting of the Putnam Legislature’s Protective Services Committee. Lawmakers are reviewing County Executi… Please login below or purchase a subscription to the Putnam County Courier to access this content. The NY Sheep and Wool Festival is one of the premiere such events in the nation, and draws aficionados from around the Northeast, including Putnam’s own Katherine Whiteside. 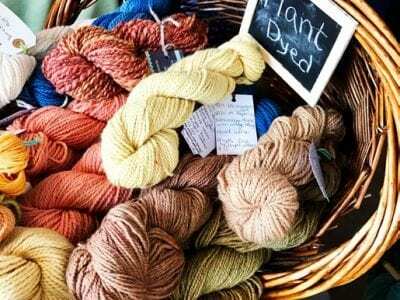 Here, plant-dyed yarn. My grandparents raised sheep in the tall mounta… Please login below or purchase a subscription to the Putnam County Courier to access this content. Members of Patterson Boy Scout Troop 440 traveled to Vermont to partake in the Shale Hill Adventure. 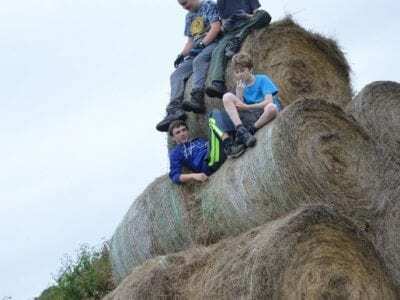 A group of Patterson Boy Scouts–members of Troop 440–experienced a weekend to remember when tackling the world class obstacle course mud run known as… Please login below or purchase a subscription to the Putnam County Courier to access this content. 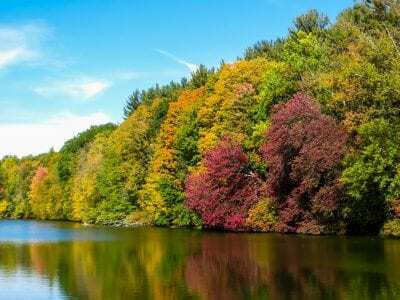 Putnam Valley is Prospering and By No Means Headed for Bankruptcy! Editor’s Note: This was submitted in response to Patty Villanova’s Perspective of Oct. 13, our previous issue. The day before Patty’s editorial appeared, I spoke at length with Patty. Patty is someone I’ve known all of my life. I like … Please login below or purchase a subscription to the Putnam County Courier to access this content. To the Editor: When one goes beyond Ms. Villanova’s irascible rhetoric, she researches well on local government and open government, and always seems to have the taxpayer in mind. It has been distressing that Mr. Oliverio has been on such a dr… Please login below or purchase a subscription to the Putnam County Courier to access this content. 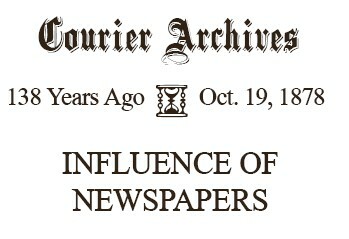 A school-teacher who had been engaged a long time in his profession, and witnessed the influence of a newspaper upon the minds of the family and children, writes as follows : “I have found it to be a universal fact, without exception, t… Please login below or purchase a subscription to the Putnam County Courier to access this content. adjuvant AJ-uh-vunt adj : serving to aid or contribute : auxiliary … Please login below or purchase a subscription to the Putnam County Courier to access this content.